Indiana State Name Origin | What Does "Indiana" Mean? 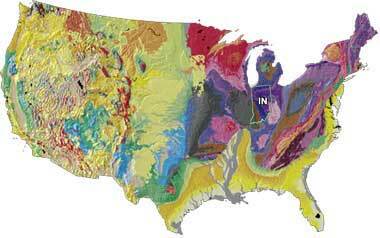 Indiana geology and topography map; image from USGS: A Tapestry of Time and Terrain. Various Native American tribes are a significant part of Indiana history, including the Miamis, Chippewa, Delawares, Erie, Shawnee, Iroquois, Kickapoo, Potawatomies, Mahican, Nanticoke, Huron, and Mohegan. 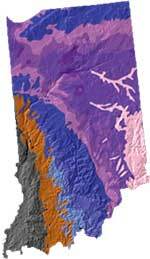 Indiana USA; image from USGS. Add Media for Origin of "Indiana"